In an authentic mill close to the beautiful Montepulciano city, an original experience of shooting the bow dipped in a Tuscan forest, Vino Nobile tasting to follow. Realized on the ruins of an old mill of the ancient Medici town of Montepulciano, the structure is already represented in the ancient cadastral maps. Today this former mill, after a skillful restoration work, reopens its doors as a luxury residence, where you can spend pleasant days immersed in the absolute quiet of the garden, surrounded by ancient oaks, olive trees, orchard, and vineyard. Into the woods and along the stream "Salcheto", which runs along the entire estate, the owners have created a pleasant path where long walks, also equipped with two rest areas to sit and meditate in nature. Here you can practice archery, ancient shooting discipline and hunting, both on traditional straw targets, places in the area before the entry of the path, which all along the route, where 12 3D animal silhouettes are located in the area. Twelve of local wildlife shapes from Pheasant Boar engage the archers in a pleasant walk along the creek Salcheto. 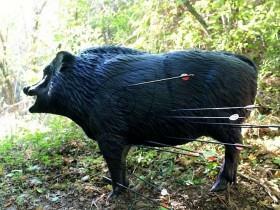 You can take advantage of the path is the right equipment to rent bow, arrows and everything you need. 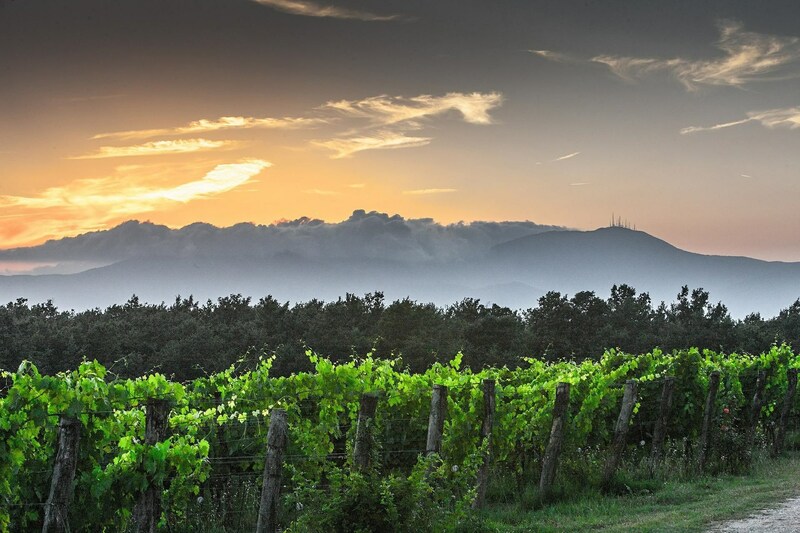 Il Mulino is especially a beautiful farm that has planted 2.3 hectares of new vineyard in the last two years, 70% Sangiovese, 20% Merlot and the rest other local varieties. 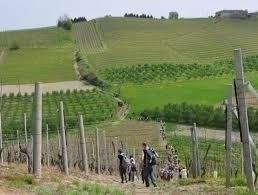 The 3.6 hectares of vineyards of produce Rosso di Montepulciano DOC and Nobile di Montepulciano DOCG, as well as a prestigious Grappa di Vino Nobile in the selection, infused in wild grown on the farm fennel alcohol. Inside the town's walls, the streets are crowded with revitalized Palazzi and renovated churches. 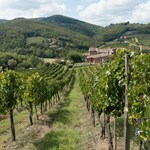 It is famous for its excellent local wine, Vino Nobile di Montepulciano wine. The term Nobile is derived from its exceptional tantalizing taste, regularly produced by the noble families. This wine is obtained from Sangiovese grapes including the Canaiolo Nero and Prugnolo Gentile, with the additional grapes from other vineyards in the region. We leave the hotel or villa in Siena and province at 9.30 a.m.
We head towards the south and stop by Pienza, a town on the hilltop. The Pope Pius II initiated Pienza town. 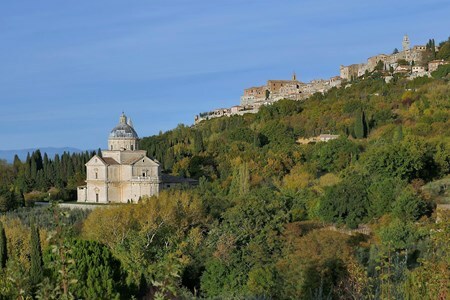 We will appreciate the beautiful views of the valley Orcia from the benighted path, enjoy a leisure stroll through the tiny streets with plenty of shops stocked with classic products, including Pecorino cheese. We will have lunch at a classic Tuscan trattoria. Delight in tasty Tuscan meals prepared with extra virgin olive oil. We then head to a small winery for a second wine tasting. The winery produces abundant Nobile di Montepulciano wine and Super Tuscan which is stored in cellars. We then stop over at Montefollonico, a small-sized fortified village with tiny houses. Here will visit an olden winery where the owner passionately creates exceptional Nobile di Montepulciano wine. 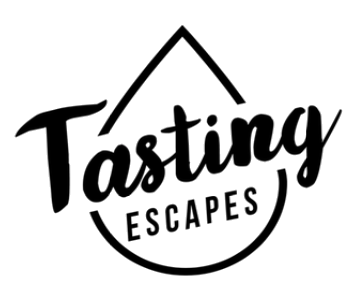 We will visit the cellar, which goes way back to the 13th century and at a private wine tasting, we discover the old techniques used to produce this exciting wine. From the patio of the winery, we can admire the gorgeous view of the surrounding landscape. We finally return to the hotel or villa at around 5.30 pm.